I'm back with another review from one of my favorite Japanese beauty and skincare brands Tatcha. I'm a sucker for good skincare. They have this amazing new serum and eye mask - check it out! If you've checked out any of my skincare videos, you'll know that serum for me is an unnegotiable part of my skincare routine. I have combination skin, with very dry patches. After cleansing, I apply serum to clean skin prior to moisturizer. This keeps my skin soft and honestly, I think it keeps me looking young! If I skip this step, my skin feels dry and flaky throughout the day. Tatcha recently launched their Deep Hydration Firming Serum. I was excited to try out their skincare after being a big fan of their blotting sheets for years. A deeply hydrating blend of Okinawa red algae and hyaluronic acid to soothe and firm skin in need of hydration. 23-karat gold lends skin a lit-from-within look, without adding shimmer to the face. All skin types. Non-irritating. Non-sensitizing. Dermatologist tested. First off, the packaging is absolutely gorgeous. 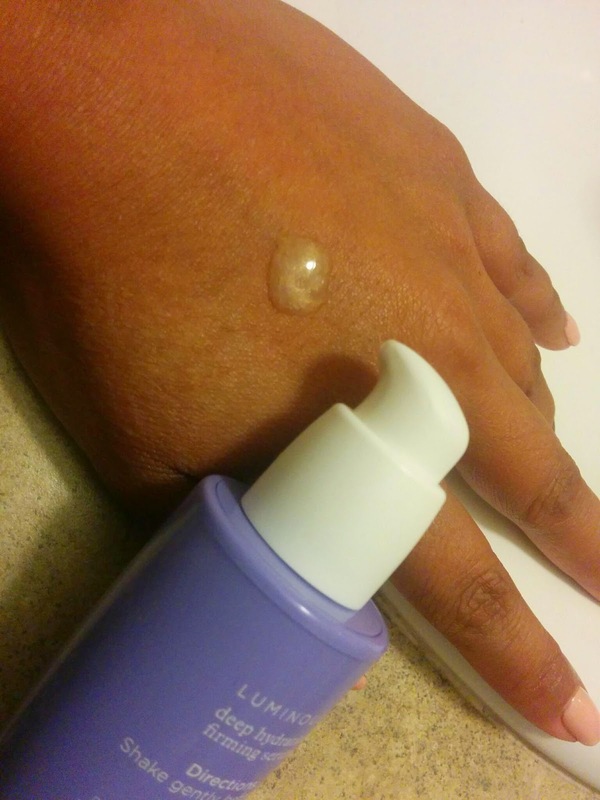 I love the the rounded purple bottle that really fits nicely into the contours of my hands. One pump dispenses the perfect amount of product for your entire face. Don't forget to shake gently beforehand. The Luminous Hydration Serum is definitely a luxury skincare product - it contains 23kt gold which gives a lit from within look. In this instance, I can definitely tell a high end serum from a drugstore version. This one glides on so smoothly and I instantly feel hydration. Other products just sit on top of the skin - this one sinks right in without feeling greasy, leaving my skin feeling plump and revitalized. I've had zero issues with dry patches since I've been using this product and I haven't changed any other part of my skincare routine. As I get older skincare becomes a priority and I definitely don't mind investing in products like this to keep me young. I always say, good makeup is all about good skin. So next time you think about spending tons of money on foundation and concealer, consider investing a bit more in your skincare first. The second product I received for review it the Luminous Deep Hydration Revitalizing Eye Mask. 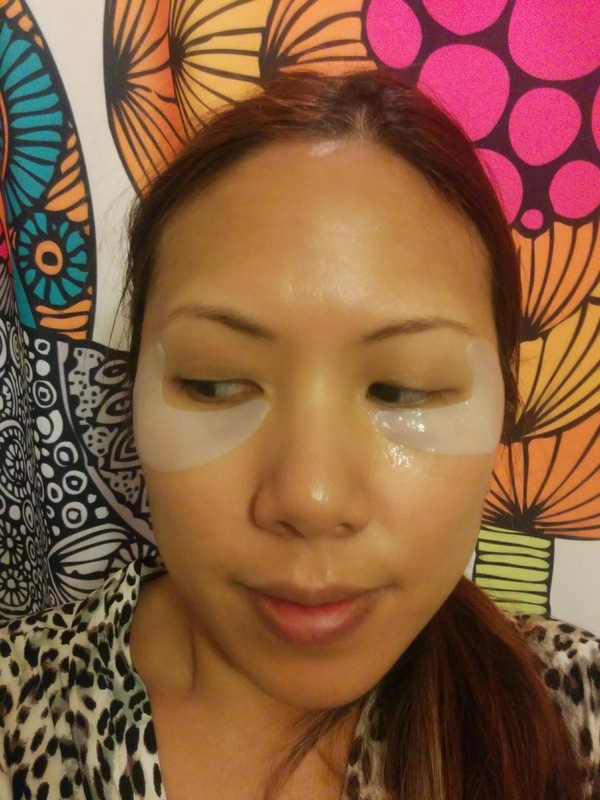 I was super pumped to try out this product - I love eye masks, they're definitely a treat! This mask combines our proprietary Okinawa Red Algae blend with nourishing Peony Extract for luminous, purified skin in minutes. The unique coconut-derived biocellulose mask, developed originally to speed healing for burn victims, forms an occlusive layer on the skin. This enables the powerful actives to help promote the appearance of hydrated, revitalized-looking eyes. I waited to use these eye masks until just the right moment. I was sick in bed, and definitely in need of pampering. I was still feeling the effects of a 2 hour cry session the day before (girl problems lol) and my eyes definitely still felt a little puffy. First off, you've got to read the instructions! The first time I applied the eye masks, I forgot to peel off the paper to reveal the gel eye pad, lol. Can we talk about the ingenious shape of these eye masks? The boomerang shape not only covers the undereye area where puffiness and dark circles occur, but it also wraps around to cover the sides of the eyes where crows feet and fine lines occur - genius! I popped these on for about 20 minutes as I chilled on the couch with an ice cream sandwich and watched a Twilight marathon. I do feel like the masks slided down onto my cheekbones just a little bit. But if you want, you can always lie down with these and that eliminates that issue. After about 20 minutes, I removed the masks (threw them away - one use) and rubbed in the excess serum left over. The instructions do say to follow up with your regular eye cream and moisturizer. 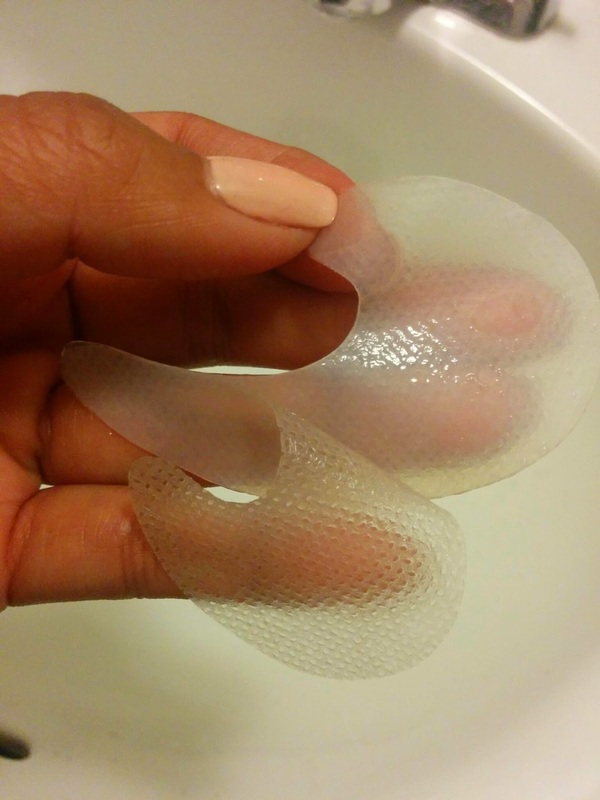 I found that the delicate skin around my eyes did feel less puffy and super moisturized. I just knew that my undereye concealer would apply like a dream after this treatment. I would definitely pull these eye masks out for special occasions where I need that little extra eye treatment. What a great gift for a bride! Winners! CoverFX BB Gel Giveaway! First Empties Video - Products I've Used up! Makeover: Purple & Pink Pop!